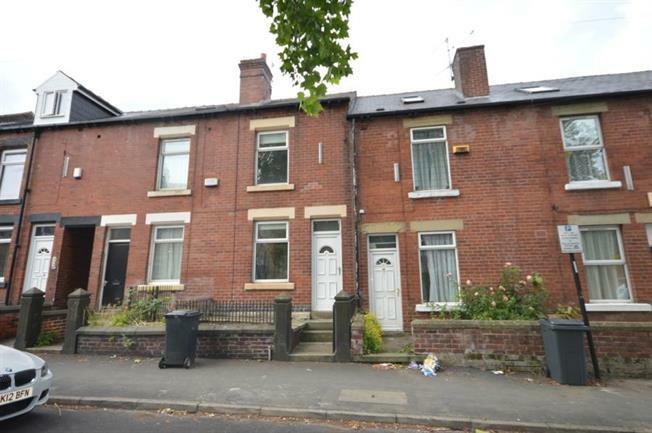 3 Bedroom Terraced House For Sale in Sheffield for Offers in the region of £185,000. This three bedroom mid terraced house achieving an approximate income of 13260 per annum. Located just off Ecclesall Road its an ideal student rental property and is well presented throughout. The accommodation on the ground floor briefly comprises an off shot kitchen and two reception rooms (one which is being used as a bedroom). On the first floor there is a shower room, one double bedroom, one single bedroom and stairs from the landing, which lead to a further attic double bedroom. Externally there is a rear yard. Ideally located just off the lower stretch of Ecclesall Road, and therefore enjoying excellent access to a range of shops, including Waitrose, Marks and Spencers Food, Tesco and Sainsbury's together various coffee shops, including Starbucks and Costa, as well as having a great range of restaurants and public houses within walking distance. Both Sheffield Hallam University Campus are within walking distance. Sheffield City Centre and the train station are approximately half a mile away.